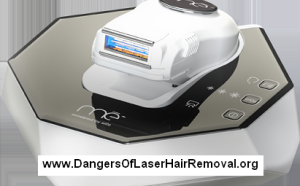 When it comes to home hair removal devices there had been two main leaders in the category. The well known TRIA laser which was the first ever home laser approved by FDA, and the new advanced compact Me my ELOS Pro Ultra system, which has the top notch technology in a home kit. At first glance when we decided to take this comparison, both of the systems seemed close enough to be compared. But as we drilled down to the specs, features and benefits, it seems the ELOS Pro is by far more advanced and relevant for the Y generation users. In the past home hair removal was not intended for everyone. Only the right candidates which had the right skin tone and hair tone, and skin/hair contrast, could be relevant as users for the home hair removal systems. For the TRIA system, only people with fair skin tones, and dark hair color could undergo the home treatments. For the rest it was not a matter of effectiveness but a matter of safety. The FDA does not allow the TRIA to be used on dark skin (deeply tanned, brown, African, Indian, Native American or dark Latin skin tones). For the NEW ELOS Pro system, there are no “best candidates” criteria… The Me my ELOS Pro Ultra is for EVERYONE! The system has been approved by the FDA for home treatments of all skin tones (1-6) which covers all the brown and black skin complexions. The ELOS Pro is also approved for all hair colors including red, blond, grey and white hairs even. Note that people with these hair colors may need extra treatments and more patience before they see results. 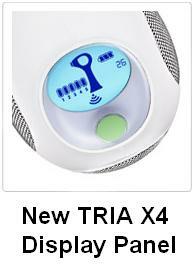 The TRIA laser has many safety features embedded in it to prevent accidents. 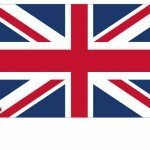 This is due to the fact that it’s allowed to be used only on fair skin tones. On top of that the laser eye damage hazards are more dangerous than ELOS or IPL outcomes. TRIA has two main safety features, a skin tone sensor, which evaluates the darkness of the skin before the system is unlocked. The second sensor is a skin-touch sensor to prevent accidental zapping of laser when the system is not touching the skin. The Me my ELOS pro Ultra has only one sensor, because the skin tone sensor is irrelevant.. The ELOS is approved to be used on all skin tones, so there is no need for a sensor to unlock it. The IPL ELOS Quartz lamp has a skin-touch sensor to prevent accidental pulsing. 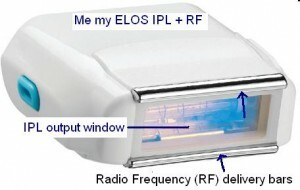 There are two bi-polar RF bars, which need both to touch the skin in order for the device to pulse light. Unless TRIA laser R&D will think of a major upgrade their device may soon be outdated for the Y generation. Today 2015 when everyone has a smartphone, and Google, Facebook and Twitter are at the tip of a finger, I do not believe any customer would be able to follow the TRIA laser treatment plan as scheduled. The TRIA device itself though had it’s weight reduced is still quite heavy. The TRIA laser tip covers a very small skin area. Each pulse of TRIA laser takes about a second or two to zap. So in order to cover a full leg can take an hour of endless zapping and overlapping, of hundreds of pulses of laser. Covering armpits may take 15 minutes each.. The Me my ELOS Pro Ultra have a SUPER fast system. In fact it’s faster than any other home device, including all IPLs combined too. The ELOS Pro uses the flash of light to preheat the hair and the following RF (radio frequency) which follows adds more heat. The Me ELOS hand device can be used over the skin in a gliding motion, as if using a shaver.. The TRIA laser has just about ‘enough laser’ power in it’s diode system for a 6 – 8 full body treatments. It will not last for ever, and after that many zapping, the laser energy will be reduced. Many customers complain at Amazon their system stopped emitting laser after a year, which may be also due to the recharging of the battery getting weaker. The ELOS home device is not cordless so there are no battery issues. 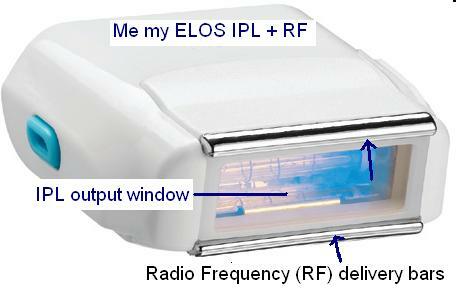 The NEW Pro Ultra ELOS comes with a revolutionary new quartz IPL lamp which holds 120,000 flashes! Just for the comparison, regular IPL devices have 1500-2000 flashes per lamp before it dies.. Full body session require 800 flashes (approx) and seven sessions will require 5600 flashes until you are done. So the new quartz ELOS lamp can serve for an annual full body treatment for many many years! That is how we feel when placing these two systems together. The Me my ELOS belongs to the new era of fast moving people, youth who require everything to be fast, effective and instant. 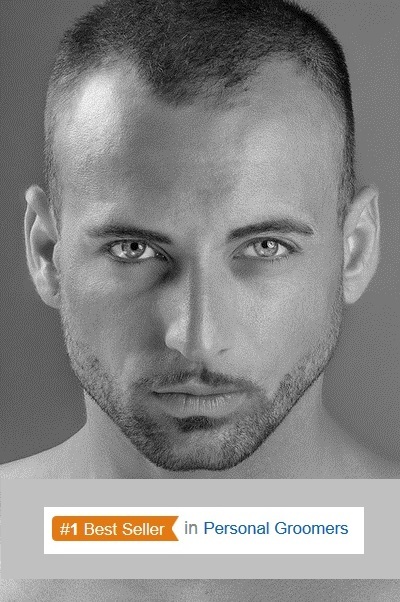 The ELOS Pro Ultra has researches done by dermatologist which found up to 94% hair reduction after seven treatments. TRIA has similar results shown by it’s people, but the difference is in the way. TRIA is old school, with limited candidates allowed, limited hair color approved, slower home sessions which can last forever. With shaving hassle and mess before each session. 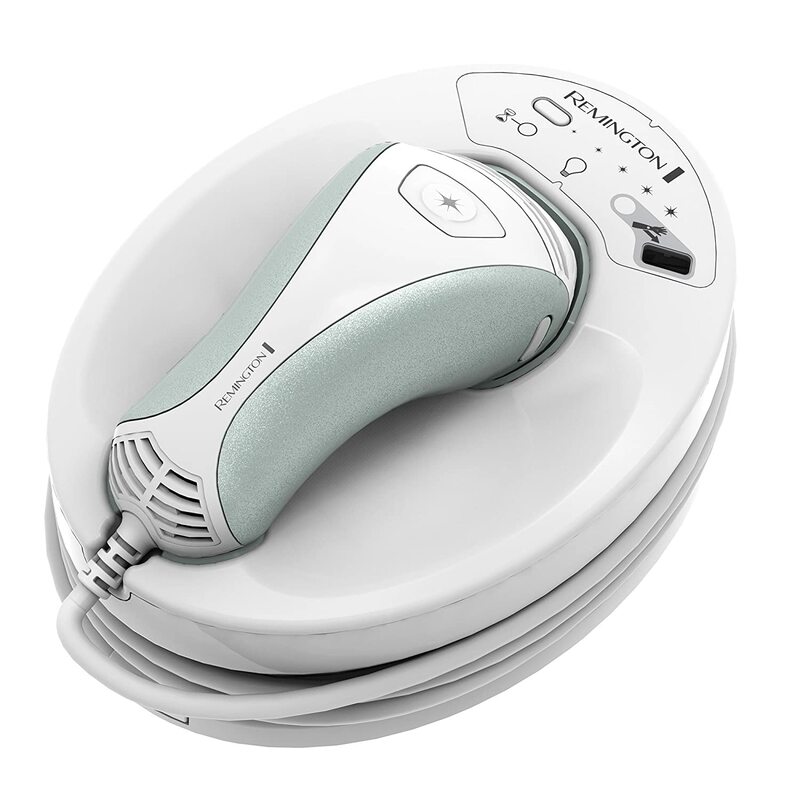 The ELOS has an add-on shaver which makes the whole process fast, clean and neat. Our conclusion is that the ELOS wins over TRIA in a Knock-Out! This entry was posted in Hair Removal News, Home Removal Systems, Me my Elos Hair Removal, Tria Laser and tagged 2015, Best Laser Hair Removal 2013, Me my ELOS Pro Ultra Vs TRIA Laser, Me My Elos Pro-Ultra Hair Removal, Me My Elos Syneron PRO ULTRA by . Bookmark the permalink.